KYIV, Ukraine—The Kremlin’s strategy of military aggression in Ukraine and Eastern Europe has backfired, spurring former Soviet and Warsaw Pact countries to become a de facto anti-Moscow military bloc, while NATO rearms and reinforces its eastern flank. Altogether, Eastern Europe has become the most rapidly militarizing region on earth, which is not to Moscow’s advantage. “I think [Russia’s military policies] have failed because they stimulated national resistance and the beginning of NATO rearmament,” Stephen Blank, senior fellow for Russia at the American Foreign Policy Council, told The Daily Signal. “But there is no threat to Russia,” Blank added, underscoring how NATO and Ukraine are building up their militaries as a defensive move, which is not a bellwether for any offensive action against Russia. In 2014, Moscow annexed Ukraine’s Crimean Peninsula after a hybrid warfare invasion. Russia subsequently launched a proxy war in eastern Ukraine, which is still ongoing and has so far killed about 10,000 Ukrainians. Since 2014, Russia has also ratcheted up military provocations against NATO forces across Eastern Europe. Russian warplanes have made provocative flybys of NATO ships and aircraft. And Moscow has deployed new military hardware to its Kaliningrad exclave, a territory nestled between the Baltic countries and Poland, which are all NATO members. “These are definitely not made for TV operations, but major military actions and threats of larger ones against Ukraine and the Baltics,” Blank said, referring to Russian aggression. Russia has also conducted cyber warfare attacks on the electoral processes of multiple NATO countries, including, but not limited to, the U.S., Germany, and France. “Russia is likely to continue its military provocations against NATO members since the image of an unpredictable [Russian President Vladimir] Putin serves Moscow’s interest in fueling fears of another war in Europe,” Daniel Szeligowski, senior research fellow at the Polish Institute of International Affairs, told The Daily Signal. By casting doubt as to “whether NATO is capable of defending its members in case of aggression,” Szeligowski said Russia is trying to reassert influence over what it considers its “near abroad”—essentially the territory of the former Soviet Union. Yet, Russia’s gambit appears to be backfiring. Anticipating a potential war with Russia, former Soviet and Warsaw Pact countries have undertaken a crash course military buildup. Accordingly, the Baltic countries of Latvia and Lithuania have had the two fastest-growing military budgets in the world since 2014, according to IHS Jane’s. Despite the military buildup, however, Eastern European countries are, for the most part, not looking to freelance their own national security outside of NATO’s collective defense umbrella. In fact, Russian aggression has increased NATO’s clout in Eastern Europe since 2014. 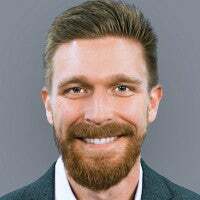 “Regional security cooperation between countries on NATO’s eastern flank leads to greater coordination and capacity development, and thus should be further strengthened,” Szeligowski told The Daily Signal. Despite not being a NATO member and therefore not enjoying NATO’s collective defense guarantee, Ukraine has also turned to NATO as a hedge against Russian aggression. Ukrainian President Petro Poroshenko has ordered Ukraine’s military to adopt NATO standards by 2020. And when combined Russian-separatist forces launched an artillery and rocket blitz on the eastern Ukrainian town of Avdiivka at the end of January, Poroshenko announced plans to hold a national referendum on NATO membership for Ukraine. NATO will not accept a Ukrainian bid for membership while the country is at war. But Poroshenko’s move highlights how invoking the possibility, however slim, of NATO membership is a way to deter, or antagonize, Russia. “Since Russia’s aggressive actions began three years ago, NATO has stood by Ukraine— this will not change,” NATO Deputy Secretary General Rose Gottemoeller said during a Feb. 9 joint press conference with Ukrainian Prime Minister Volodymyr Groysman. Russian aggression has spurred NATO to rearm and adopt a more aggressive posture toward Moscow. The Western military alliance (originally conceived to oppose the Soviet Union) has collectively pledged to boost military spending while it follows through on plans to deploy its forces eastward toward Russia’s borders in ways unseen since the Cold War. At a gathering of defense ministers at NATO headquarters in Brussels on Monday, U.S. Defense Secretary James Mattis pressed for all NATO countries to meet the alliance’s minimum defense spending target of 2 percent of gross domestic product. Currently, only five countries—the U.S., Estonia, Greece, Poland, and the U.K.—meet the 2 percent mark. “Americans cannot care more for your children’s security than you do,” Mattis said during a speech at the meeting. As a response to Russia’s military actions in Ukraine, NATO has plans to send four 1,000-troop-strong battalions toward Russia’s borders; one for each of the three Baltic countries, and one for Poland. Additionally, NATO’s Very High Readiness Joint Task Force comprises about 5,000 troops. The unit is meant to “respond to emerging security challenges posed by Russia, as well as the risks emanating from the Middle East and North Africa,” according to a statement on NATO’s website. Overall, the U.S. has about 35,000 military personnel in Europe, including two Army infantry brigades. 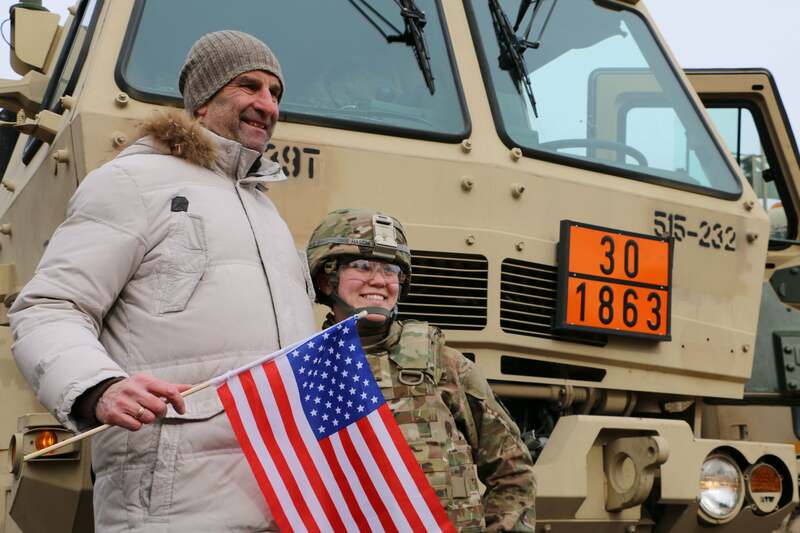 To deter Moscow, the U.S. has recently deployed an additional heavy brigade to Poland, comprising about 3,500 troops and 87 tanks, as well as a unit of 500 troops to Romania. The U.S. also has troops in Ukraine conducting a training mission for Ukraine’s armed forces. NATO’s eastward deployments are still just a fraction of Ukraine’s military buildup near Russia’s border, underscoring how the overall military balance of power in Europe has shifted since 2014 due to Russian aggression. Ukraine now has about 60,000 combat troops, supported by heavy artillery and armor, forward deployed to the Donbas—Ukraine’s embattled southeastern territory on the border with Russia. That’s a force of 60,000 combat troops near Russia’s border that wasn’t there prior to 2014. About 3,000 to 5,000 regular Russian troops remain in the Donbas, along with about 40,000 pro-Russian separatists. In the months following Ukraine’s February 2014 revolution, Russia launched a hybrid invasion of Ukraine’s Crimean Peninsula, ultimately annexing the territory. Russia followed up the seizure of Crimea with a proxy war in the Donbas. A combined force of pro-Russian separatists and Russian regulars was on the march in eastern Ukraine in 2014, and there were worries then that Ukraine could be split in two, or that Russia might launch a large-scale invasion. A cease-fire called Minsk II has kept the war at bay since February 2015. But the fighting never really stopped. Today, the conflict is static, mostly fought from fixed positions in trenches with long-range, indirect fire weapons, such as artillery and rockets. Today, about 3,000 to 5,000 regular Russian troops remain in the Donbas, along with about 40,000 pro-Russian separatists, according to Ukrainian military estimates. The war in eastern Ukraine has killed about 10,000 Ukrainians and displaced about 1.7 million people, according to estimates by humanitarian groups. Prior to 2014, the Ukrainian military had been gutted by corrupt government officials who pilfered weapons and supplies for sale to arms dealers. Yet, in the past three years, and while fighting a war, Ukraine has rebuilt its military into the second largest in Europe (behind Russia), comprising about a quarter-million active-duty troops and about 80,000 reservists—that’s a jump of at least 25 percent from its pre-2014 manpower levels. Additionally, Ukraine increased its military budget by 23 percent the year after the war began. Ukrainian defense spending is scheduled to increase by 10 percent each year going forward, according to IHS Jane’s. Ukraine has also revamped its military-industrial complex. In 2015, Ukraine was the world’s ninth-largest weapons exporting nation. In 2016, Ukraine’s arms exports contracts jumped by 25 percent from 2015 levels, totaling about $750 million. Poroshenko, Ukraine’s president, has called for Ukraine to rank among the world’s top-five weapons exporting nations by 2020. Ukraine’s military revival has been meteoric, and it would never have happened without Russia’s takeover of Crimea, or its proxy war in the Donbas. Ukraine’s strategic military doctrine now identifies Russia as the country’s top security threat. Resultantly, Kyiv is rebuilding its military with the specific objective of defending against a Russian invasion. Ukraine’s military center of gravity used to be in its western regions, a carryover from the Cold War when the Red Army massed its strength on the Soviet Union’s western borders to oppose a NATO invasion from that direction. 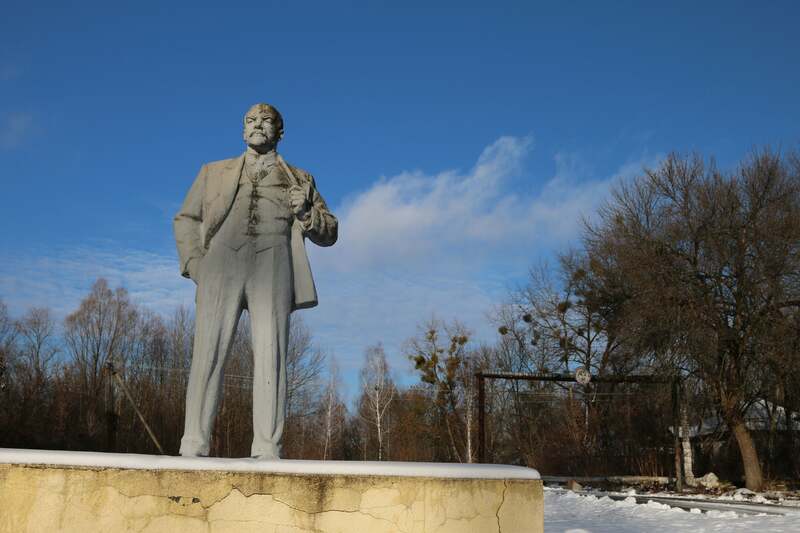 A statue of Vladimir Lenin in Chernobyl, Ukraine. Today, however, Ukraine’s military forces have moved eastward, digging in to defend against Russia. Russia’s military aggression in Ukraine has also sparked a cultural backlash among the Ukrainian people. Ukrainians share a common language, religion, and cultural history with Russia. And many Ukrainians have friends and family living in Russia. Yet, 72 percent of Ukrainians have an unfavorable opinion about Russia, and 77 percent consider Russia to be a threat to its neighbors, according to a recent poll by the Democratic Initiatives Foundation, a Ukrainian think tank. That’s a sharp change from 2011, when 84 percent of Ukrainians had a favorable opinion about Russia. Ukraine is, bit-by-bit, purging itself of all things Russian, and all reminders of the Soviet Union. 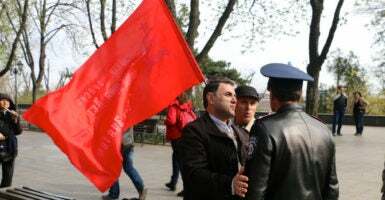 In 2015, Ukraine’s parliament passed a series of “decommunization” laws, which outlawed all symbols of the Soviet Union, including the hammer and sickle flag, and statues of Vladimir Lenin. Even the Soviet national anthem was banned. The excised “petrovsk” referred to communist leader Grigory Petrovsky, for whom the city was named in 1926 by Joseph Stalin. Estonia, Latvia, and Lithuania—which are all former Soviet states and current NATO members—are now building up their militaries at a faster pace than any other countries on earth. The Baltic countries increased their collective spending on new military equipment from $210 million in 2014 to $390 million in 2016, according to a report by IHS Jane’s. By 2020, the region’s defense budget will be $2.1 billion, up from $930 million in 2005. “This growth is faster than any other region globally,” Craig Caffrey, principal analyst at IHS Jane’s, said in the report. Poland, also a NATO member, has doubled its military spending since 2006, reaching $9.2 billion in 2016. Polish military spending has increased in eight of the past 10 years, with an 18 percent jump in 2015. Even Sweden and Finland, countries that stayed mostly neutral during the Cold War, have started to build up their militaries due to the Russian threat. According to a Feb. 13 report from the Independent, a British newspaper, Finnish authorities have mulled blocking some foreigners from purchasing property near military sites. The move was a response to worries that Russians were acquiring land, which could be used to garrison troops or stage attacks during an invasion. 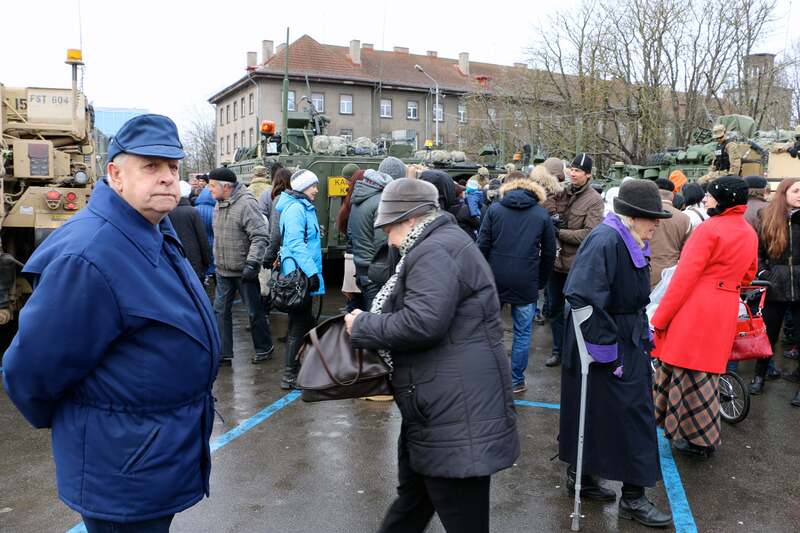 The militarization of civilian populations across Eastern Europe offers a chilling barometer of how seriously those countries consider the possibility of a war with Russia. Throughout the region, civilian paramilitary groups—a throwback to partisan units that fought against both the Nazis and the Red Army in World War II—are training for a guerrilla war against Russia. In Lithuania, the government recently issued a guerrilla warfare manual for the country’s 3 million citizens. Estonia’s standing army comprises about 6,000 troops out of an overall national population of 1.3 million. However, the country’s Defense League—a civilian paramilitary group—has 25,400 volunteers who train for war on the weekends. Estonians greet U.S. Army soldiers in 2015. Civilian militias in Poland are also preparing for war against Russia. And in Ukraine, civilian paramilitary groups are widely credited with stopping the advance of combined Russian-separatist forces in 2014, during the early days of the war when Ukraine’s regular army was on its heels. “We can see that Russia is going in the direction of restoring the influence it had at the time of the Soviet Union,” Tomasz Siemoniak, Poland’s former minister of national defense and deputy prime minister, said in 2015. Many analysts compare the current tensions between Russia and NATO as a new Cold War. They see the conflict through a bipolar lens—NATO on one side, Russia and its proxies on the other. Yet, the current security environment in Eastern Europe is not so easily reducible to the Cold War paradigm. The region is no longer a geopolitical no man’s land between East and West. Rather, a multipolar, regional power struggle has emerged. For the time being, however, NATO’s eastern members remain committed to NATO. There is, however, a lack of a consensus among NATO countries (within their domestic politics, especially) about the alliance’s top threat. Some officials from Western European NATO countries, and some from the U.S., too, believe terrorists infiltrating from the battlefields of Iraq and Syria are the alliance’s biggest menace. However, among the alliance’s Eastern European members, Russia is, without a doubt, the top security concern. “While terrorism and instability emanating from the Middle East and North Africa are threats to NATO member states, only Russia poses a true existential threat to the alliance,” Kochis said.